our Award Winning team of chefs aim to please. on; there’s something for everyone. we have access to some of the finest wines in the world. Enjoy! Welcome to The Red Lion website. We took over this wonderful pub at the beginning of September 2016. We are very excited to have such a lovely, warm and Idyllic pub in the heart of Milton Bryan, Bedfordshire. Please come down and visit us and our lovely team, whether it be for a drink or two, or to have a meal and sample some of our delicious dishes. We look forward to meeting you all very soon. Daniel, Narelle and Family. We are looking for new staff to join our wonderful kitchen team. If you think you have what it takes to be part of the Red Lion Team. 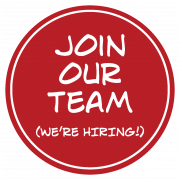 Positions available are ~ Full-time Chefs ~ Full-time or Part-time Kitchen Porter/Assistant. Please contact us via email or call now.